Thanks for supporting railroad preservation! Crowds gathered as the historic steam locomotive No. 765 let out a whistle as it sat on the tracks during the Fort Wayne Railroad Historical Society’s open house on Saturday. 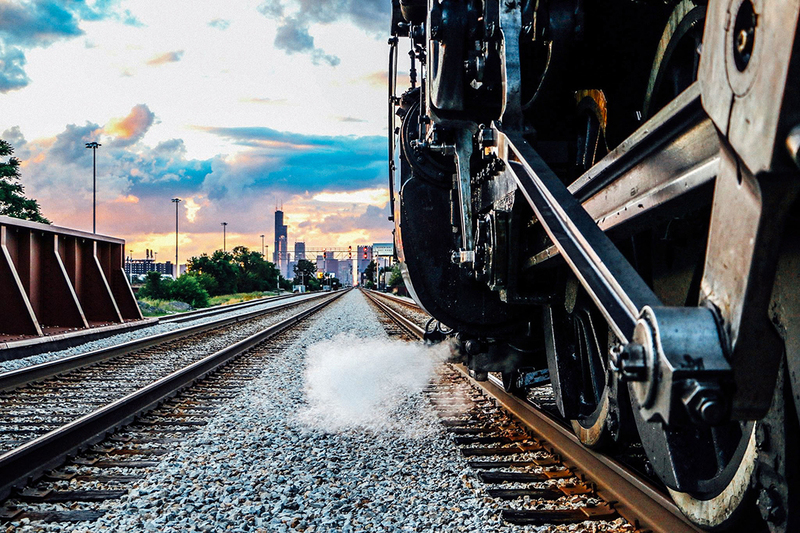 The glossy black engine, which was the first locomotive to make its way across Fort Wayne’s elevated railroads, had coals stacked high as conductors climbed aboard. In its seventeenth year, the open house event in New Haven was expected to attract 4,000 to 5,000 visitors over the weekend. 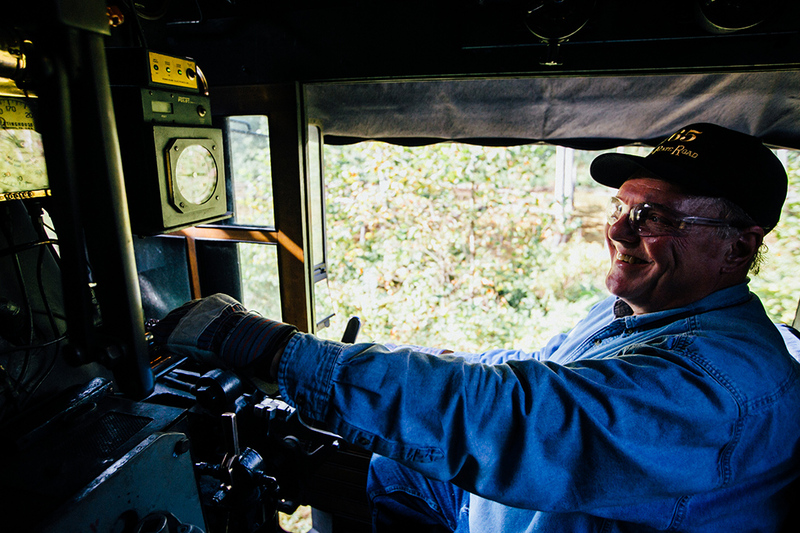 For the second year in a row, railroad fans will be able to take control of historic steam locomotive no. 765 for six miles of mainline running! 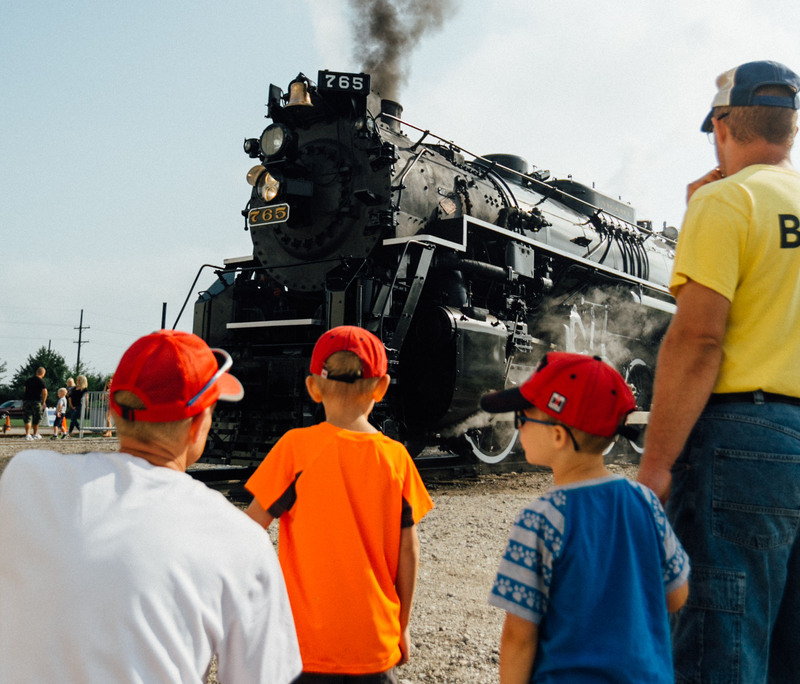 The Fort Wayne Railroad Historical Society will host its Open House on August 17th, 18th and 19th and steam locomotive Jeddo Coal Company no. 85, a restored tank engine. 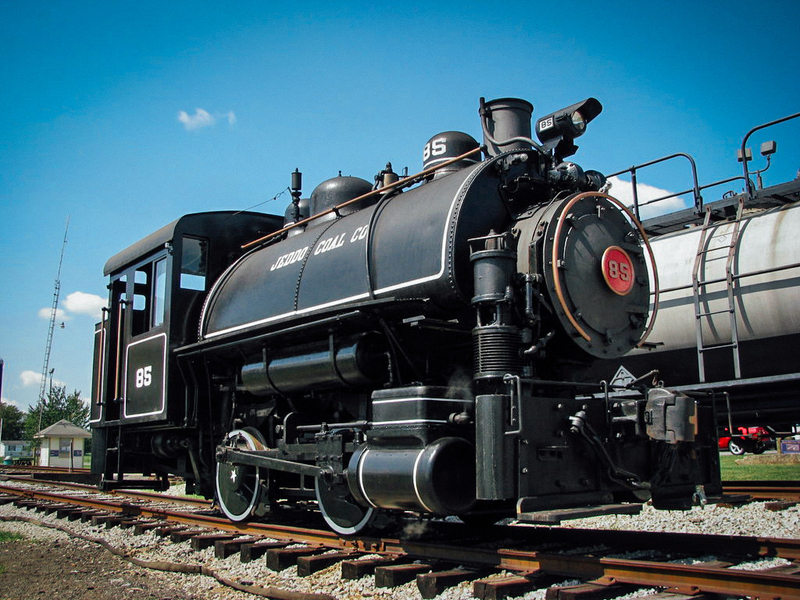 Built in 1928 and restored by the Gramling Locomotive Works of Ashley, Indiana, the tank engine will be transported by truck to the Society’s facility and operate train rides throughout the weekend. Ticket sales begin August 1st. July 8th, 2017 – The Fort Wayne Railroad Historical Society convened a meeting and solicited input from from over half a dozen mainline steam locomotive organizations and The Emery Rail Heritage Trust to address the challenge of Positive Train Control. The Fort Wayne Railroad Historical Society is pleased to announce that ticket sales for The Joliet Rocket trips will begin at 6PM on May 9th for the general public and 6PM May 8th for members. Roundtrips will depart Joliet, Illinois for Chicago and return twice each day on September 15th and 16th over Metra’s Rock Island Line. Tickets can be purchased online at fortwaynerailroad.org or by phone at 1-888-718-4253. Ticket classes include Deluxe Coach ($139.00), Open Air Car ($200.00), First Class and First Class Suites ($189.00), Dome Class ($249.00) and Executive Class (TBA.) 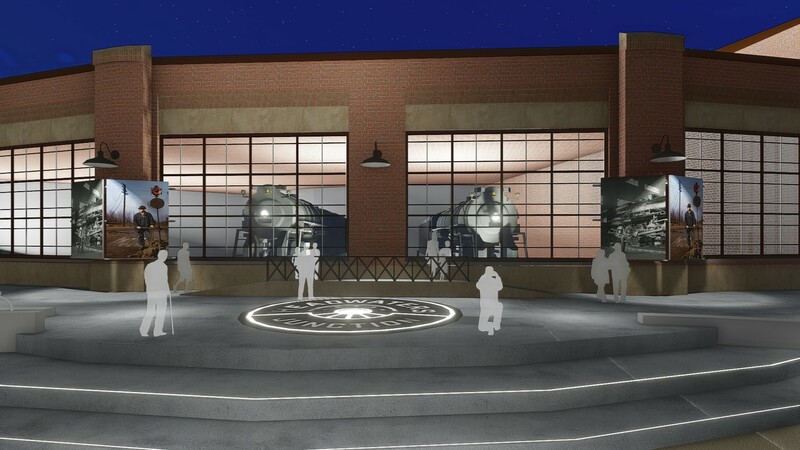 The historic passenger will include the Stampede Pass, Wisconsin Valley, Frank Thomson, Superdome, Silver Palace, Silver Solarium, Silver Lariat, Braddock Inn, NYC 83 and Fox River Valley. The open-air car will be placed immediately behind the steam locomotive, auxillary tender and tool car. Classes and passenger cars can be viewed at The Joliet Rocket event site. Tickets for this exciting, themed event include appetizers and drinks, open vestibules (where applicable), an extended layover at LaSalle Street Station, live entertainment and much more. For more details, click here or read the press release. For questions, contact the ticket agent.